Machine learning models are only as good as the data you use to train them. AI sexism and racist machines have made the news in 2017. 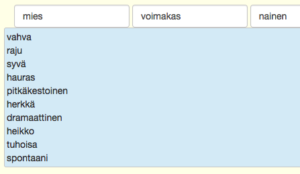 Yesterday, Slava Akhmechet tweeted about his word2vec language model test. According to the tweet, the test was trained on the Google News dataset that contains one billion words from news articles in English. Word2vec can be used to find similar meanings between words. For example: (Man | King) would be analogous to (Woman | ________) … Can you guess? Yes, “Queen”. 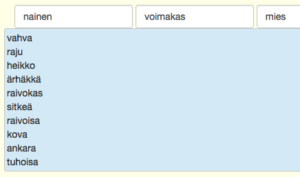 I’ve ran some word2vec tests in Finnish. I thought it would be interesting to see if a similar bias exists in Finnish as well. You know, Finland being one the most gender-equal countries, where we speak a language that has only gender-neutral pronouns. 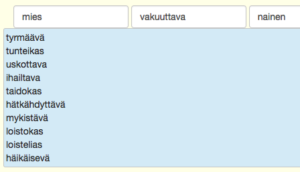 In Finnish, both “he” and “she” are the same word: “hän”. 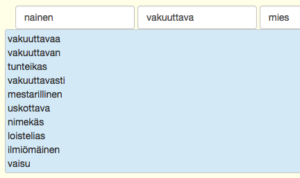 Finnish is more equal than English. (Man+persuasive) is mostly equal to (Woman+persuasive): both are “credible”, “dashing”, “impassioned”. Mostly equal in traffic as well. (Man+biker) has similarity score 0.54; (Woman+biker) = 0.51. It’s not all that rosy, though. « You Should Use Deep Learning for That!